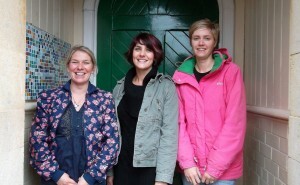 Clutton Playgroup is run by a dedicated group of staff. We have three experienced play leaders with relevant training. Your child will have a key person who will be available at the beginning of each session to talk about your child’s progress or any problems you may have. You can also speak to Helen, Sally or Jenny at the end of any session. If you wish to read your child’s records, please let them know. If you wish to speak to them in privacy please ask. Adult: Child Ratios: Our playgroup is registered to accept 26 children per session. At each session we have a ratio of one adult to eight or one adult to four children plus a parent/carer helper. This complies with the Children Act 1989 guidance and regulations. Providers registered under the Children Act 1989 must apply the normal adult:child ratio of 1:8 for children aged 3-5. 1:4 for children ages 2.